In late November, Richard Primack and I attended a meeting of botanical gardens at the German Centre for Integrative Biodiversity Research in Leipzig to discuss establishing an international network to monitor wildflower phenology. Meeting participants came together from Austria, Canada, China, Germany, Norway, Scotland, and the United States. 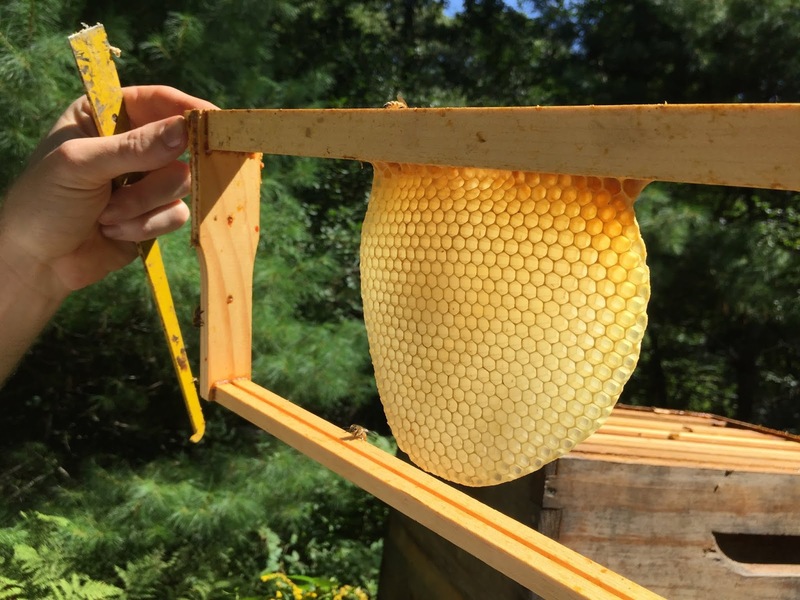 Phenology is the timing of biological events, like flowering and fruiting. 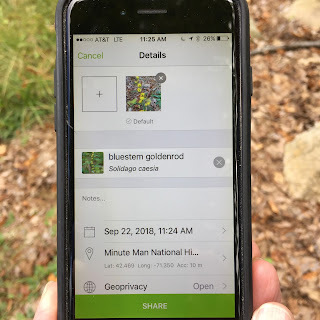 These events are important for the survival and reproduction of wildflowers, as well as for other species that interact with wildflowers, including insects and birds. 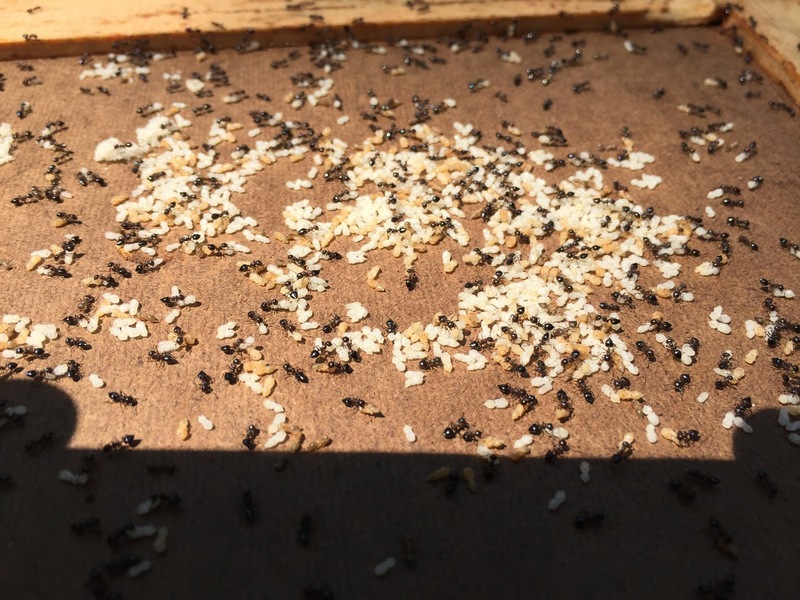 This field has taken on added significance due to the effects of climate change. 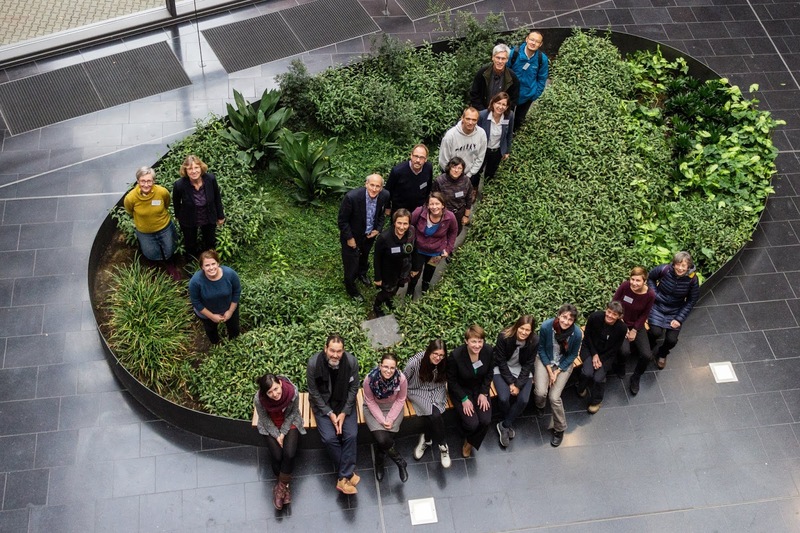 Participants shared their experiences with phenological research and citizen science. 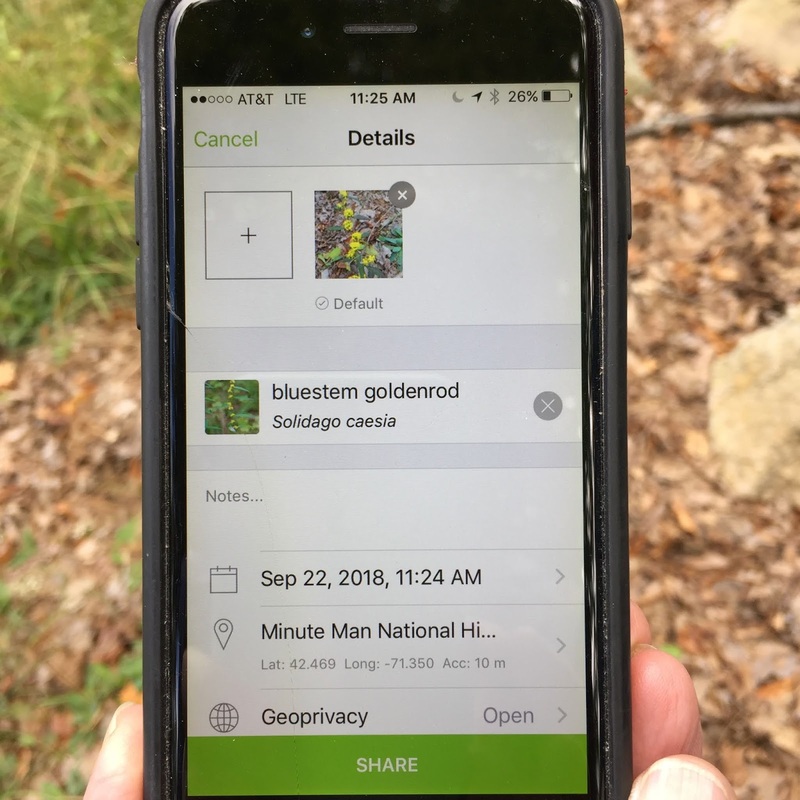 As a network, we plan to monitor a shared list of species that we can then compare across botanical gardens in different countries and climates. 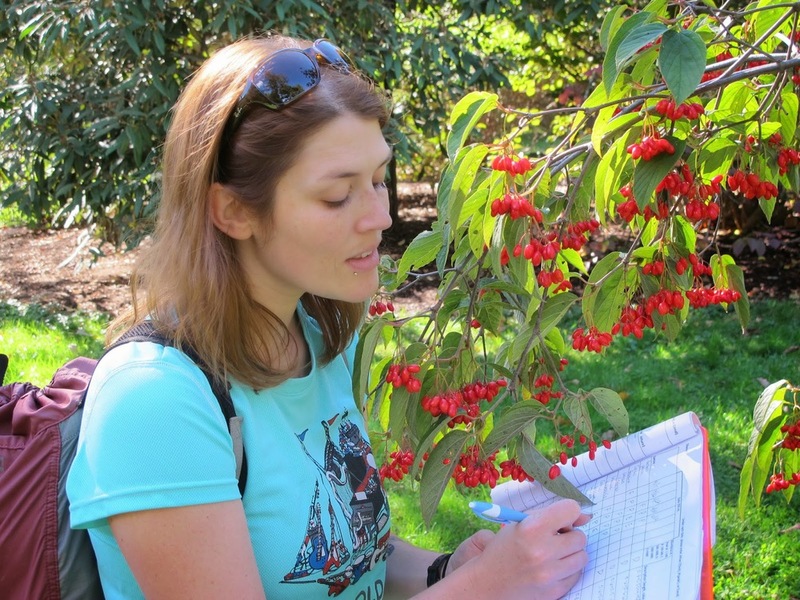 Over the past several years, we have worked with an international group of researchers to record and analyze fleshy fruit ripening times at five botanical gardens located in the United States, Germany, and China. 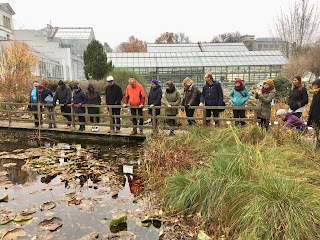 Our findings were recently published in the American Journal of Botany, in an article entitled Patterns and predictors of fleshy fruit phenology at five international botanical gardens. 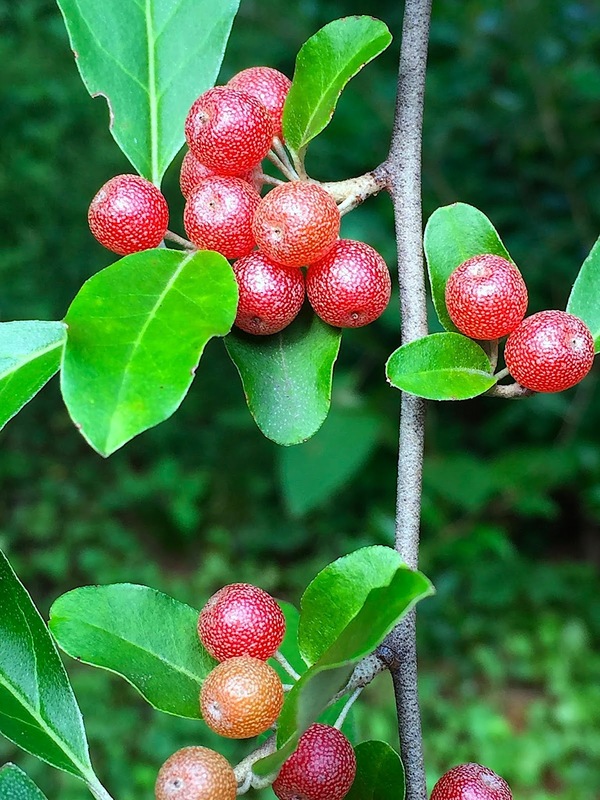 We found striking variation in fruiting times among species, with ripe fruits available from May until March of the following year, and fruiting durations ranging from under 1 week to over 150 days! 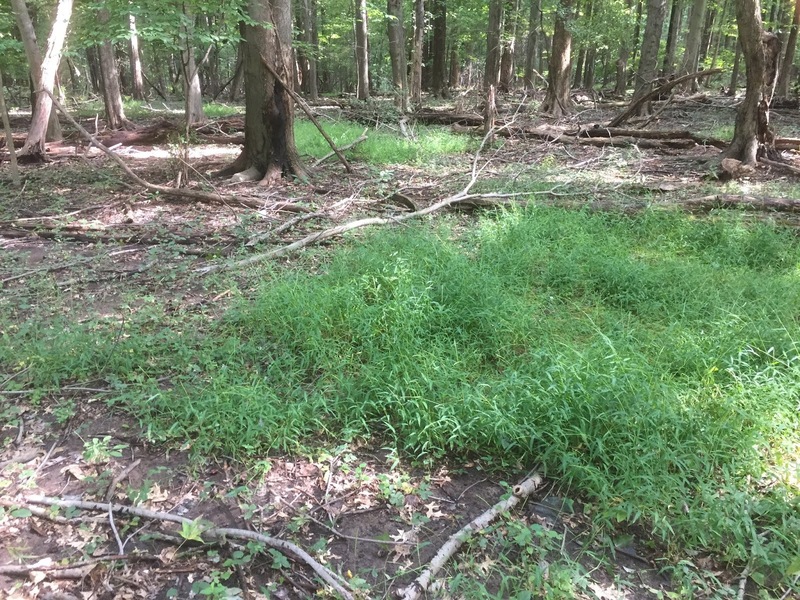 We also found that early stages are more consistent than late stages (likely due to variable fruit removal by wildlife) and early stages are highly consistent with one another. We also found a fairly consistent order in which species fruit across years and gardens and that fruiting times are phylogenetically conserved; that is, related species tend to fruit at similar times. This suggests that plants have evolved particular strategies for when they fruit and interact with wildlife. 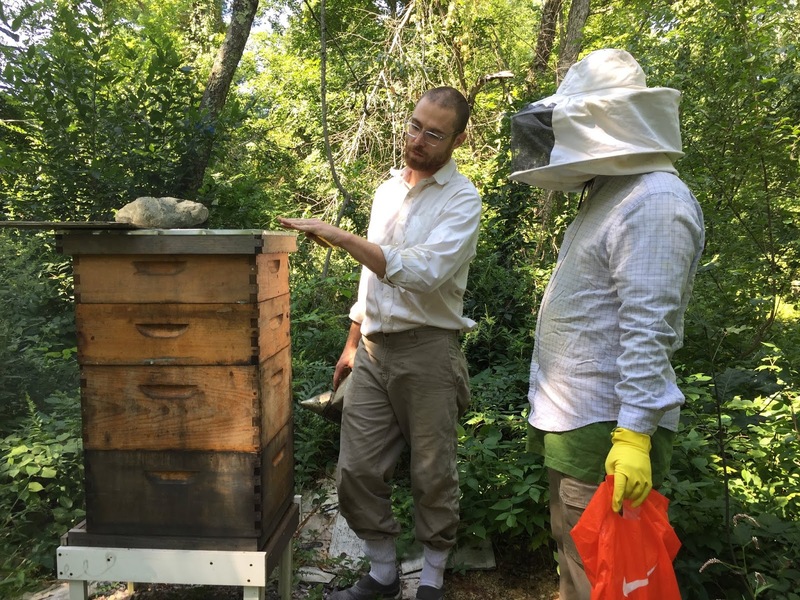 Interactions between fruits and wildlife also recently appeared in the Boston Globe! 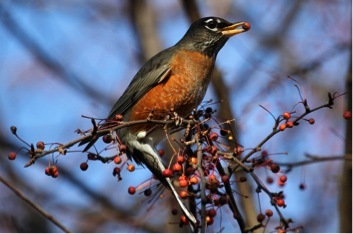 An article entitled Autumn’s Other Colors are for the Birds featured the Primack Lab’s research and commentary on bird-fruit interactions in Massachusetts. Last September I visited Rye, NY, a coastal town just north of New York City. The visit provided insight into the future ecology of eastern Massachusetts, as common species in coastal New York will extend their range northward and become more abundant in Massachusetts as the climate warms. 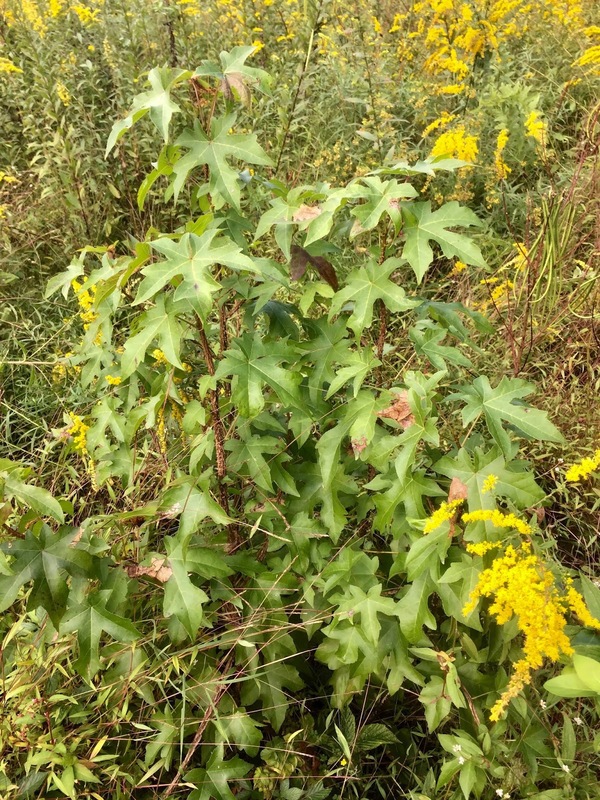 Native sweet gum trees (Liquidambar styraciflua) are common in the Rye forests, and seedlings are abundant in nearby open fields; soon this species will disperse to Boston. 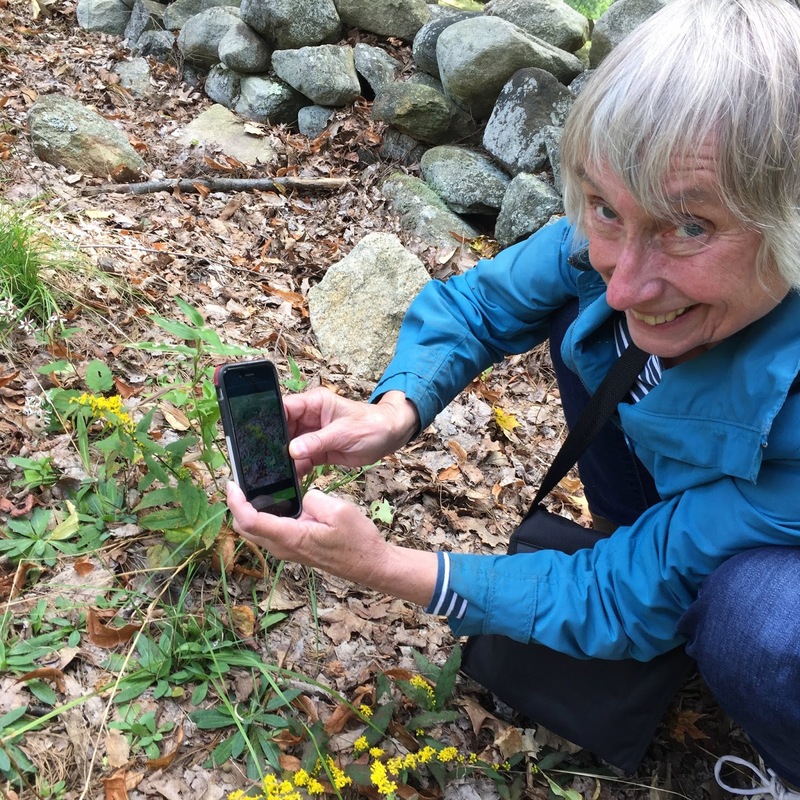 Should we help sweet gum along by planting their seeds in places where our native Massachusetts trees are dying? Non-native grasses and the invasive Japanese wineberry bush (Rubus phoenicolasius) grow on the damp forest floor, and in coming years, will spread northward into eastern Massachusetts and northern New England. 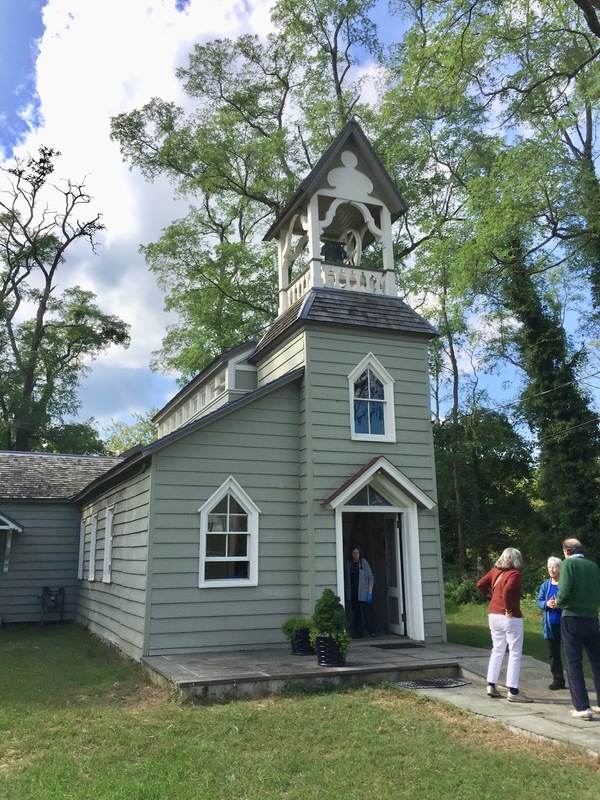 The human dimensions of climate change are seen in the Rye Meeting House; during Hurricane Sandy, the harbor was flooded and seawater was over three feet deep in the building. 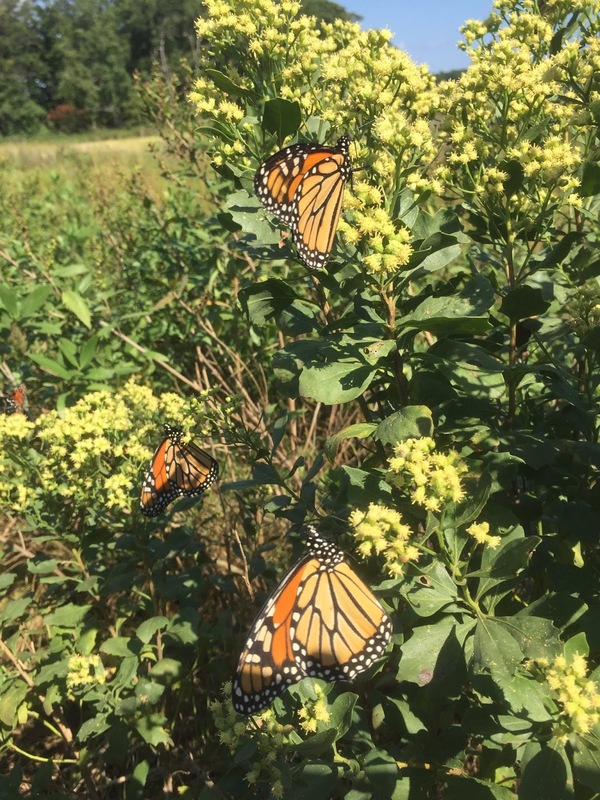 One pleasant treat was dozens of monarch butterflies feeding on the white flowers of the native salt marsh groundsel bush (Baccharis halimifolia), another species likely to spread northward in coming decades. He who would have nothing to do with thorns must never attempt to gather flowers. 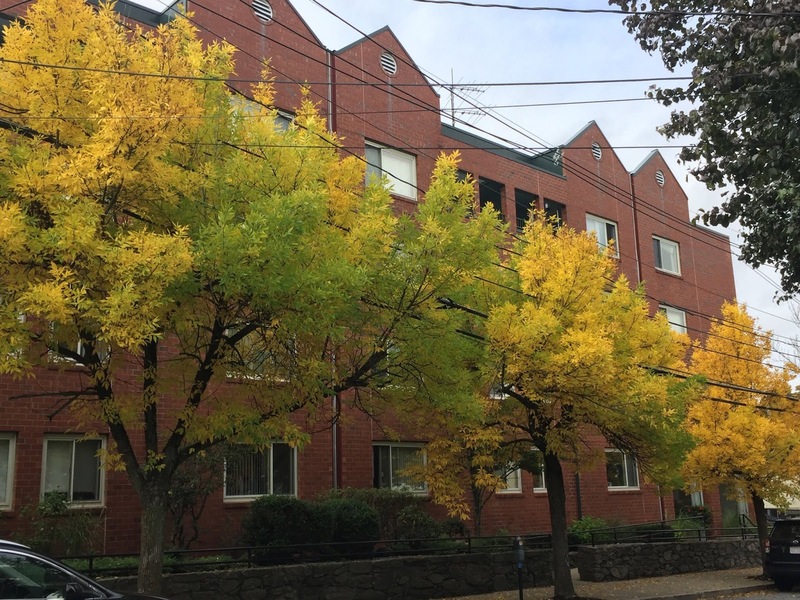 Gardens bring delights of jubilant flowers, unusual foliage, and sweet scents to Newton, a suburb of Boston known as the Garden City. Front yard and sidewalk gardens reflect the personal tastes of homeowners and beautify streets and neighborhoods. In a recent article in the Newton Tab, two contrasting front-yard gardens, one sunny and the other shady are highlighted. Bodgda Pilat enjoys her canna lilies. In front of their white stucco house in Newton Center, Bogda and Kaz Pilat have created a striking flower garden in their sunny, small front yard. Notable plants include 8-foot-tall purple-leaved canna lilies topped with huge red flowers. Mary Morganti in front of her shade garden. 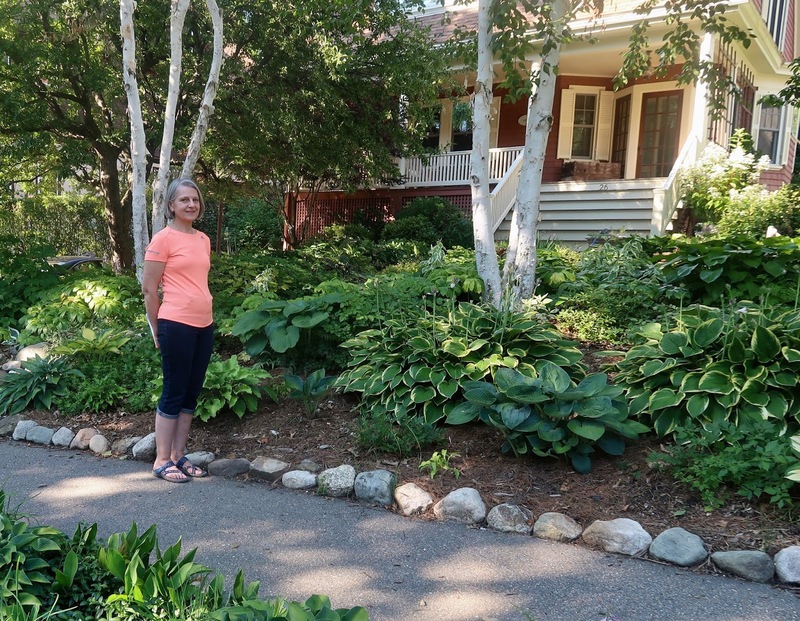 In contrast, Mary Morganti has created a cool shady garden in front of her 1912 house in Newtonville. Covering the ground are shade-tolerant foliage plants, with many textures and variations of green, especially many varieties of hosta, but also clumps of hellebore, maidenhair fern, and mayapple. 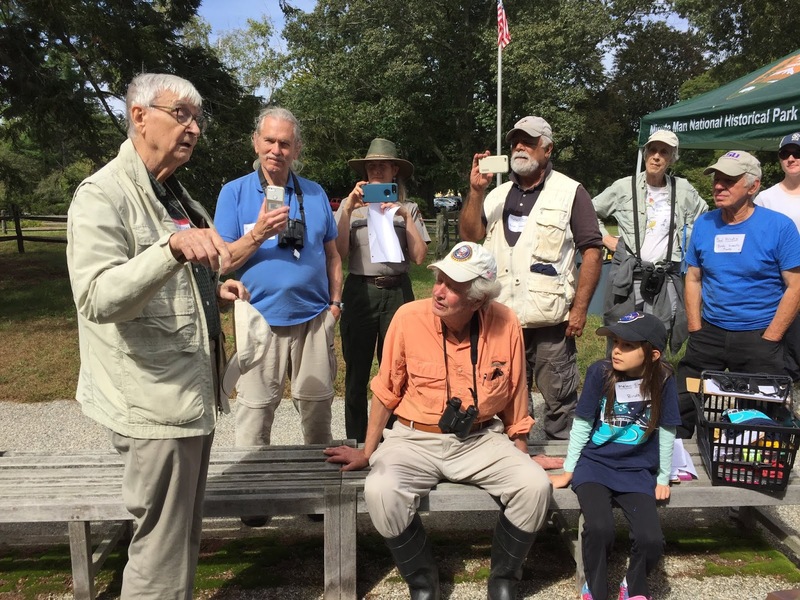 A second article in the Newton Tab discusses public gardens in places like the Newton Center Garden. These public displays present dazzling masses of color: red and purple petunias, spikes of electric purple blazing stars, and tall yellow, orange and red echinaceas (also known as coneflowers). 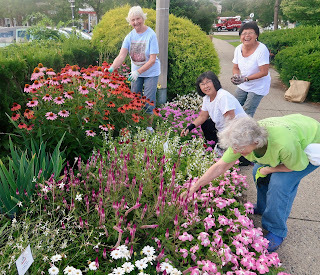 Volunteers make this and other public gardens happen, and more volunteers are always welcome. 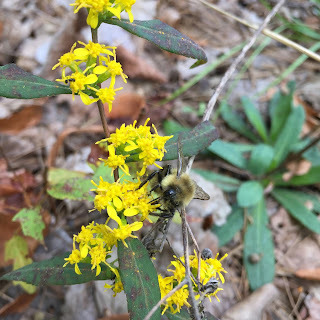 A truly good [article] is something as natural, and as unexpectedly and unaccountably fair and perfect, as a wild-flower discovered on the prairies of the West or in the jungles of the East. 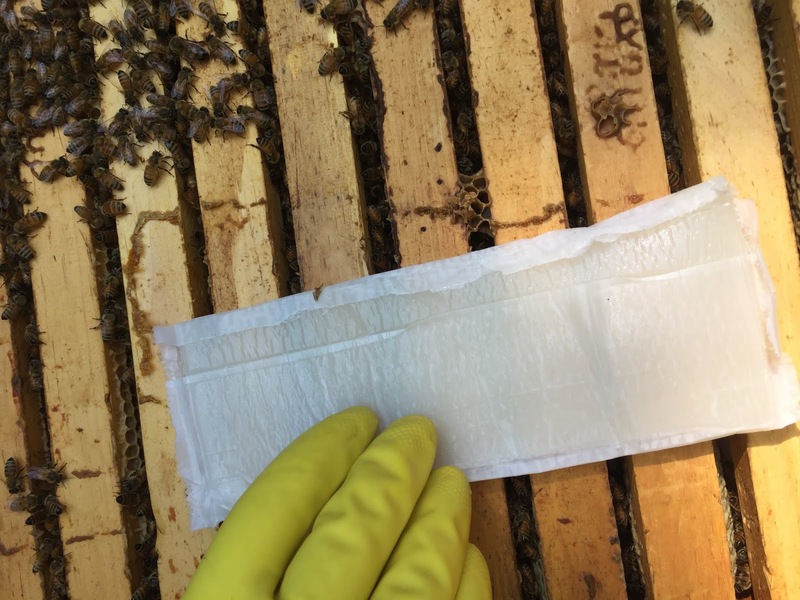 Is this post about killer bees? No! It’s about how a paper’s title affects its subsequent number of citations. 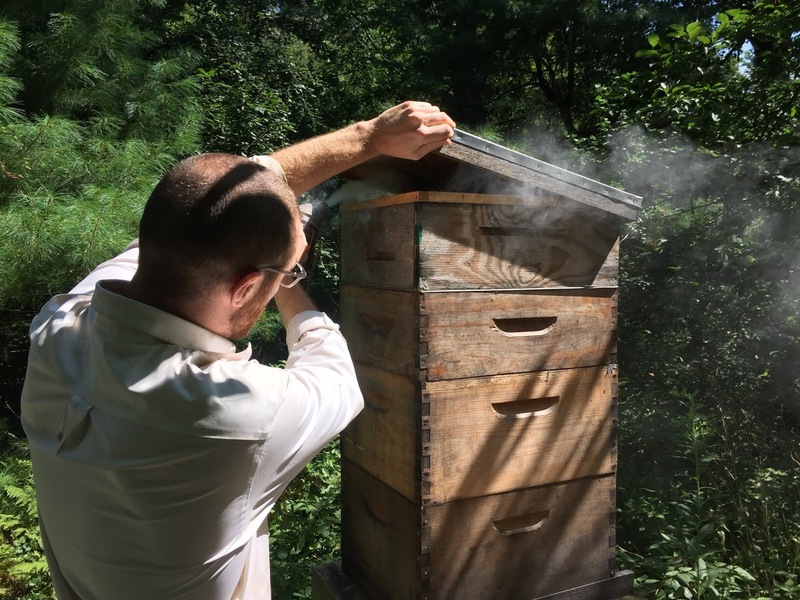 In a recent article, we investigated this topic by analyzing 5941 papers published in the journal Biological Conservation from 1968 to 2012. We found that papers with the greatest geographic or taxonomic breadth in their titles were cited more frequently than more narrowly focused papers. Also, titles phrased as questions and with shorter titles had slightly higher numbers of citations. Titles aside, the most highly cited papers are review papers, and those that advance the science and are useful to readers. The take home message: Focus on doing good science and writing review articles. 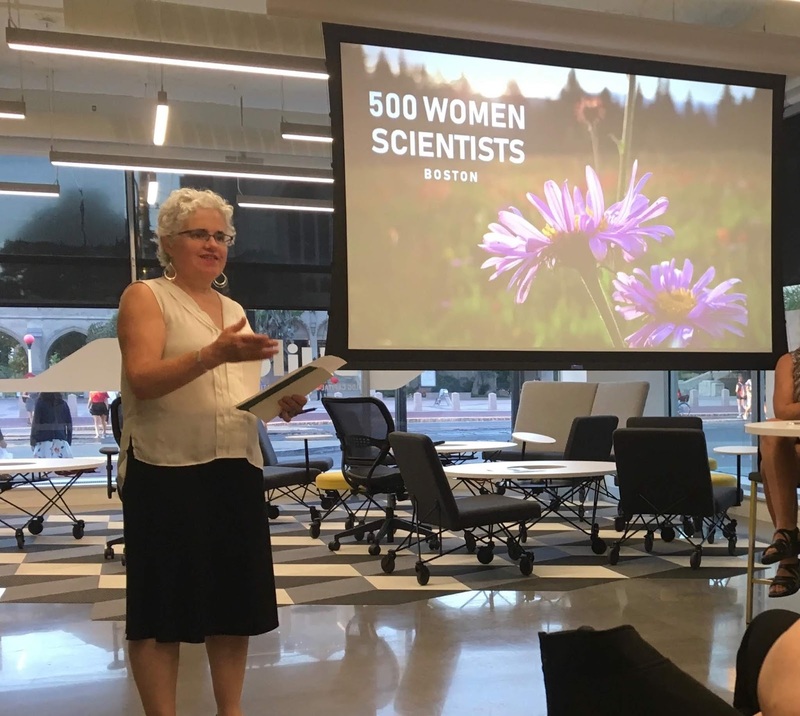 Fifty people joined the September 5th kickoff of 500 Women Scientists in Boston. The national group was first founded in 2016 to speak up for science and make science open, inclusive, and accessible. Since then, many local and regional groups have sprung up across the country. 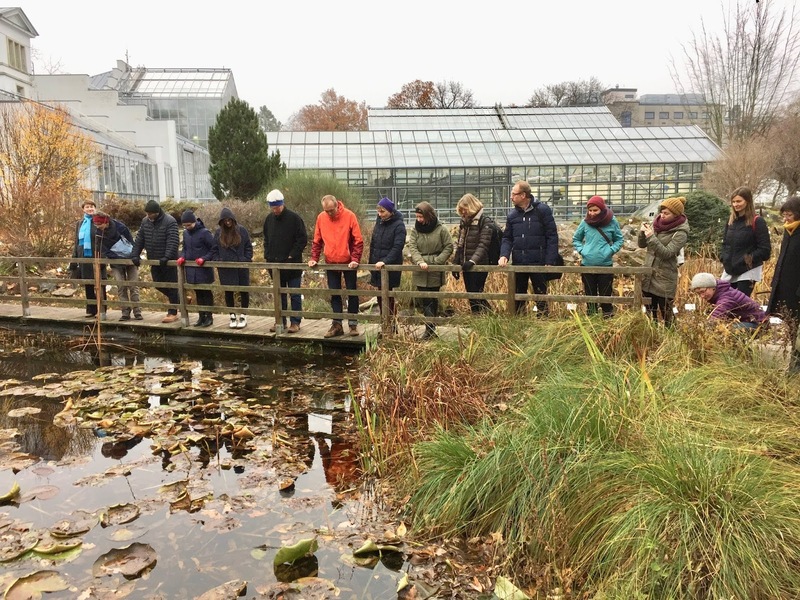 The event started with short talks about climate change from women in fields as different as biology, public health, engineering, and landscape architecture. 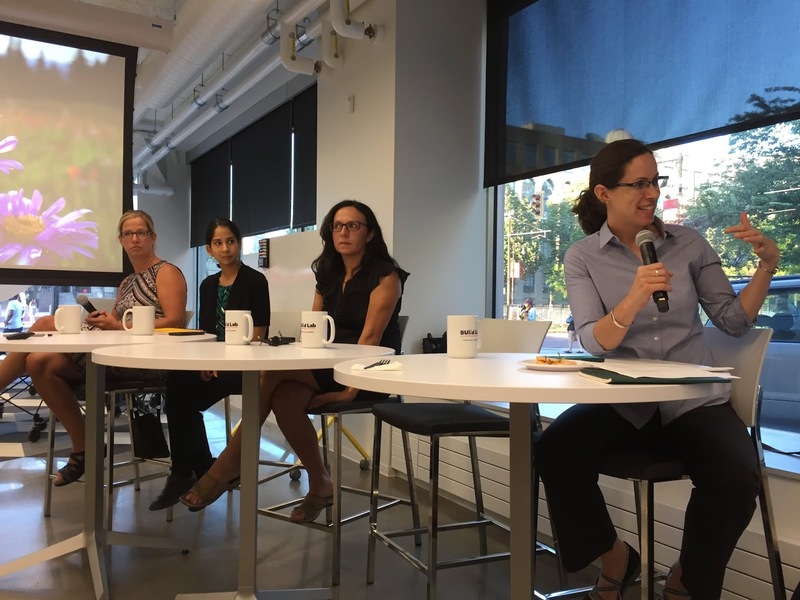 The attendees then joined in a discussion about the future role of 500 Women Scientists in Boston. People expressed interest in engaging in advocacy, education, and supporting women scientists around issues of sexual assault and harassment. Simplicity is the law of Nature for man as well as for flowers. 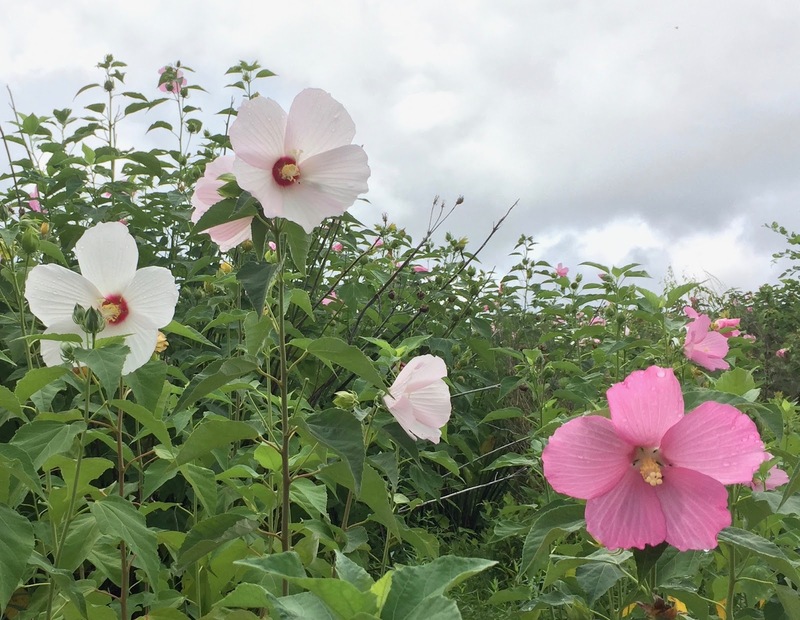 Rose mallow (Hibiscus moscheutos) is a spectacular wildflower, with multi-stemmed plants growing 6 feet tall and covered with dessert-plate sized flowers. 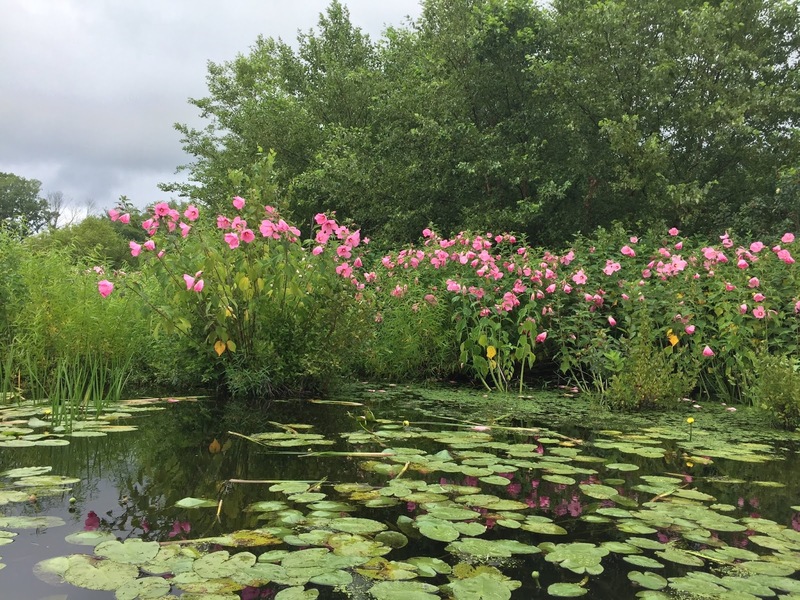 Large populations grow along the banks of the Charles Rivers, with over a thousand plants at one notable location. 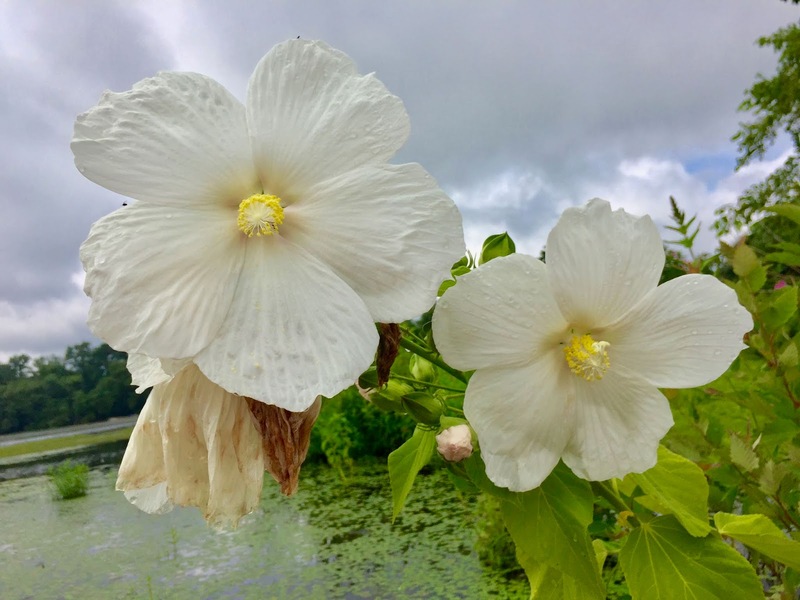 Rose mallow plants growing along the Charles River. 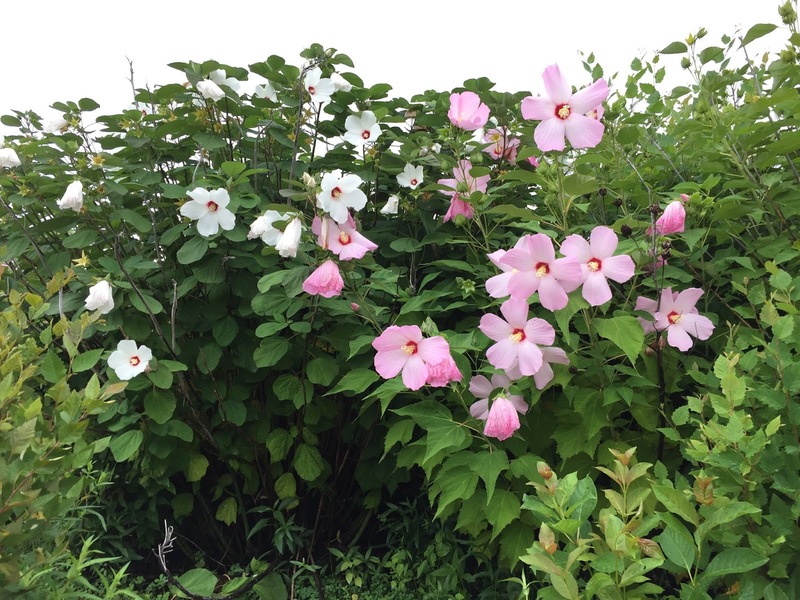 While most plants have pink flowers, other plants produce flowers that are light pink, very light pink, or even white. In addition, some plants produce flowers with a red center, and other plants produce flowers without the red center. Plants also vary in the size of the flowers, and whether the petals are bent strongly forward or slightly forward, or flared out at a right angle. Three plants growing next to each other: on the left a plant with white flowers with a red center; in the middle a plant with light pink flowers with a red center; and on the right a plant with pink flowers and no red center. This striking floral variation is almost certainly genetic, as all of the flowers on a plant will share the same characteristics of color, presence or absence of the red center, flower size, and petal orientation. A plant with white flowers and red center, growing next to a plant with pink flowers and a red center. 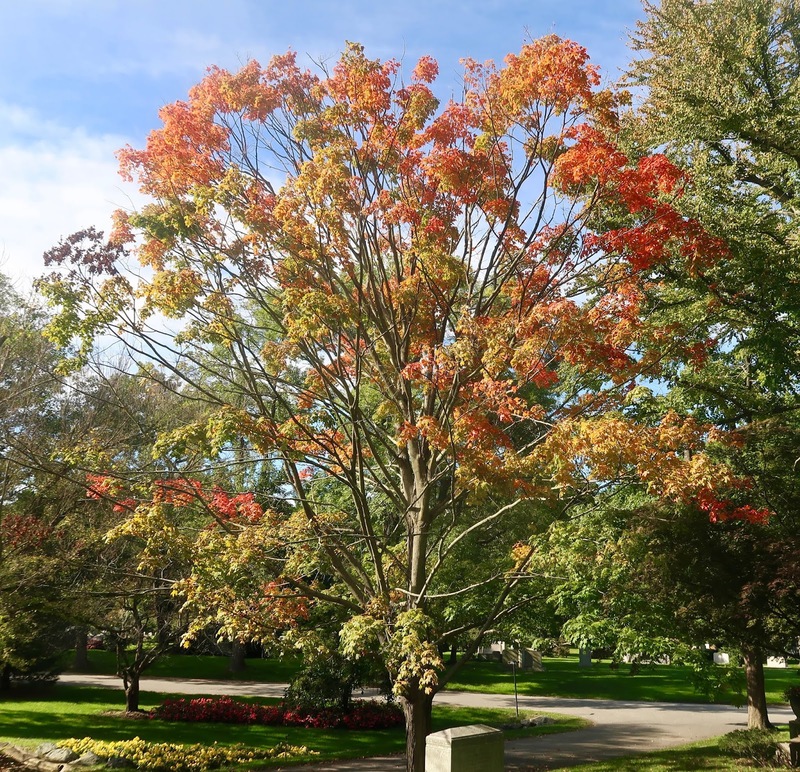 There is also variation in leaf color with some plants producing bronze colored leaves. White flowers with no red center. This species seems tailor made for studies of pollination ecology, genetics, and evolution.